The Flickers' Rhode Island International Film Festival (RIIFF) is proud to partner with Roger Williams University (RWU) and present its Spring Edition of the Annual Roving Eye International Film Festival™. The popular and acclaimed festival celebrating global cinema and artists, announces its 2016 sidebar program on the RWU Jewish Experience Series through short films, documentary, media and a guest speaker. The event takes place April 12, 13 & 17th, 2016. Through film and scholarship, the series tells the stories of the Jewish experience globally—stories of joy and sorrow, faith, diasporas, rich culture, fear and hope—stories that must be told again and again. 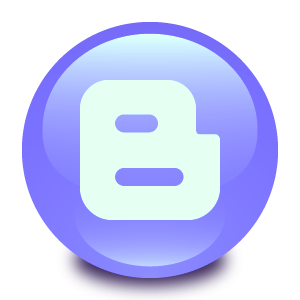 The series is hosted by the Rev. Nancy Hamlin Soukup, University Multifaith Chaplain, RWU. MIRIAM BEERMAN: EXPRESSING THE CHAOS | Directed by: Jonathan Gruber | 53 min. USA, 2015 Miriam Beerman was born in Providence, Rhode Island in 1923 with a visual gift for the world around her. She quickly knew that painting would be her life. A recipient of two Fulbright fellowships, among numerous other honors, she had the first-ever solo female show at the Brooklyn Museum in 1971. Yet even in the art world she was challenged as a woman in another male-dominated profession. From New England to Paris to New York, Miriam's artistic demons have led to haunting images that evoke the suffering of generations of victims. Her gripping work is housed at some of the most hallowed institutions in the world, including the Metropolitan Museum of Art, the Victoria and Albert Museum in London, the Whitney Museum of American Art, the Corcoran Museum of Art, the Israel Museum in Jerusalem, the Jewish Museum in New York, Yale University, the Mint Museum, and the U.S. State Department. At 91 years old, Miriam now lives in a residence home near her family in Washington, D.C. Her memory is not what it once was, yet she is still generating compelling and forceful art. It's one of the only things she is sure of. The film is a memorable profile of an artist who has elevated her empathy for the plight of the world's castoffs into powerful portrayals of dignity. Visit www.miriambeerman.com for more information on the artist. After Italy's Armistice with the Allied Armies (Sept 8, 1943), the Germans occupied the Italian peninsula as far south as Naples. Rome and its ancient Jewish population fell under German control. 'Oro Macht Frei' tells the story of the 9-month Nazi occupation of Rome through the testimonies of 9 Roman Jews, archival footage, family photos and the contribution of renowned historians, Alexander Stille, Susan Zuccotti, Liliana Picciotto, Frank Coppa and Robert Katz. In addition to stories of hiding and arrest, OMF examines the period of Mussolini's Racial Laws (1938-1945) as well as the Catholic Church's response to the round-up of the Roman Jews. When Helga Landowsky discovers the broken jug in an antiques store near the German/Polish border, she wants to have it at any cost. But the old lady has reckoned without Jakub Lato. Because the antiquarian does not want to trade his ware for money. In exchange for the jug, he wants Helga to tell him a story. And a story she can tell. It is an experience from the second world war. A story about pain and loss. And while Helga is still narrating, she and Jakub begin to realize that both their lives are wondrously interwoven. And that they are now, almost 70 years later, telling the story is last chapter together. Because only this way, the story can finally become a good story. Tel Hai, ranking in the top tenth percentile of all primary schools in Israel is surprisingly situated in Kfar Shalem, one of the most distressed neighborhoods in Tel Aviv. The population consists of mostly low income and broken families, new immigrants, foreign workers and African asylum seekers. A few years ago, principal Einat Berger went on a sabbatical, feeling frustrated. Violence was surging, students' achievements were poor, and teachers' morale was low. Upon returning, Einat introduced a revolutionary approach, “the Language of Mindfulness,” a method incorporating meditation techniques, Yoga practices and guided imagery adapted for children. Aiming to focus on the students’ emotional well-being, to bolster their self-confidence and to help them discover and develop their talents. This is the key according to Einat's understanding to improve their academic achievements and help them forge a place for themselves in the world. Tel Hai is one of the first schools in the world to incorporate a program such as this as part of its public education programming. . Teachers are constantly incorporating these techniques in their regular classes. Now the school can hardly be recognized. A unique experiment is underway, benefiting not only the students and teachers, but even parents and the community. Parents from more affluent neighborhoods are clamoring to have their children accepted into the school. As we began to look closer at the student body, we uncovered some remarkable children with inspirational stories behind them. Our film shows the program at work, and the impact it has on them. Is there a lesson to be learned here? Can such a school become a model worldwide? Introduced by Marc S. Sullivan, Graduate Architecture Major. Paris on the Water tells the story of a passionate woman who is imprisoned in a sick body and is forced to confront her age, her husband and the reality of her life. Wandering Rabbi follows Rabbi Marshal Klaven, a 34 year old, itinerant rabbi, as he travels across the American South, visiting a circuit of small Jewish communities, leading Shabbat services, ministering at life cycle events, and providing guidance and advice to the members of these small communities. 'Reverence' is a documentary short that explores the meaning and context behind branded yarmulkes and the concept of reverence in America today. From a Batman symbol to a Mets logo – this small icon of reverence has been adapted to the mainstream. 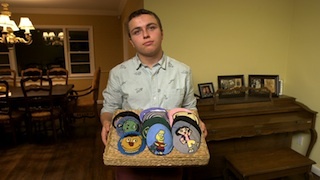 'Reverence' explores the phenomenon of custom and branded yarmulkes in Jewish-American communities, the religious norms that custom kippahs challenge in a capitalistic society, and the notion of 'fitting in' and 'standing out' within the Reform and Conservative Jewish community. Andrew Lund, a filmmaker and entertainment lawyer, Andrew is an Associate Professor and Director of the Integrated Media Arts MFA Program in the Film & Media Department at Hunter College of the City University of New York and a Faculty Associate at the Roosevelt House Public Policy Institute; he is also a faculty member of the Film Studies Department at the University of North Carolina at Wilmington and has taught in the Graduate Film Division of Columbia University, where he received J.D., M.F.A. and B.A. degrees. Brief Reunion, a feature film that Andrew produced and co-edited, won the top prize for narrative filmmaking at the 2011 UFVA conference and the Audience Award for Best Film at New York’s 2011 Gotham International Film Festival. My Last Day Without You, on which Andrew served as executive producer, recently won the top producing honors at the 2011 Brooklyn International Film Festival and will be released theatrically in Europe this fall. Andrew is the Executive Producer of nine feature films, including The Hungry Ghosts, written and directed by Michael Imperioli; Vanaja, named by Roger Ebert as one of the top five foreign films of 2007, and Arranged, an international hit that Variety called “a pure pleasure to watch” Andrew has also written and directed five award winning short films. In addition to worldwide festival screenings and television broadcasts, his shorts are included in film textbooks, DVD compilations, and distributed theatrically and non-theatrically. Andrew founded and curates CinemaTalks, the independent film screening and discussion series, and he created the Short Film Repository, which houses educational extras that support short filmmaking. Andrew’s writing on film includes an essay, “What’s a Short Film, Really?” in “Swimming Upstream: A Lifesaving Guide to Short Film Distribution” by Sharon Badal, numerous book reviews for the journal, Film International, and two books on independent filmmaking in the works for Peter Lang Publishers. Cantor Mayer’s resume is diverse and rich. He conveys Jewish knowledge through his love of chanting, teaching, composing, conducting and performing Jewish music. For the past quarter century, Cantor Mayer has led Shabbat and High Holy Day services, using well-loved cantorial melodies and teaching new tunes that have become familiar favorites. Cantor Mayer has incorporated beloved Yiddish standards and his own choral compositions into this eclectic mix. Cantor Mayer is a respected scholar of Hazzanut (Jewish cantorial music) who is known nationally for his innovative, artistic and participatory music programming. He is loved for his commitment to the Temple’s youth through his extraordinary Torah Tutor program, his Religious School teaching and the development of the Kol Kesem/HaZamir teen choir. The music program he has built at Temple Emanu-El is diverse and unique: in addition to HaZamir, he has established Shir Emanu-El and developed the Temple Emanu-El choir, two accomplished adult choirs, as well as the Shabbat Chai and Kol Klezmer bands. In 2009, Cantor Mayer was the artistic director of the award-winning “Shining Through Broken Glass: A Kristallnacht Concert,” a regional event which featured musicians and performers from the larger community and the actor and artist Leonard Nimoy as narrator. Cantor Mayer has also brought an exuberant spirit of musical collaboration to annual community interfaith observances, including the Martin Luther King Day community event. Nationally, Cantor Mayer has conducted adult choirs at the annual North American Jewish Choral Festival; and HaZamir, the international Jewish high school choir, at Lincoln Center and Carnegie Hall. 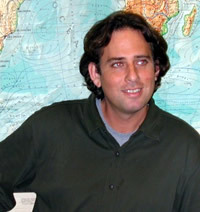 Cantor Mayer is associate professor of Jewish Music and dean of the School of Jewish Music at Hebrew College in Boston. He taught for 14 years at the Jewish Theological Seminary in New York as an assistant professor of Hazzanut. Cantor Mayer was ordained at the Jewish Theological Seminary in New York, where he later earned a Doctor of Sacred Music degree. Join as we conclude our celebration of the 11th Anniversary of the Roving Eye International Film Festival, a unique collaboration between Roger Williams University and Flickers' Rhode Island International Film Festival, and we announce the winners of this year’s Roving Eye Awards. 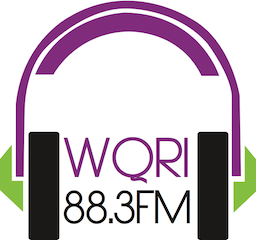 All programming for the Festival has been produced by students in the Curation and Film Production Class that includes: Ziyad M. Almutairi, Jordan A. Berry, Jenna M. Brink, Michael J. Cardi, Madeline C. Cirullo, Andre D. Courtois, Alexander M. DeLalla, Bradley S. Fagan, Joshua T. Grab, Kyle P. Gravel, Benjamin J. Horst, Zachary R. Kline, Evan M. Mozzer, Masahiro Odagawa, Sarah E. Reid, Stephanie L. Ressler, Christopher M. Rossi, Elle Schaffhauser, Max D. Schlichtmann, Catherine F. Smeykal, Marc S. Sullivan, and John R. Tateossian; with support from Alex Campbell and Francis Ferdinand. The Flickers’ Rhode Island International Film Festival (RIIFF), has secured its place in the global community as the portal for the best in international independent cinema, earning the respect of domestic and foreign filmmakers, filmgoers and trend watchers. 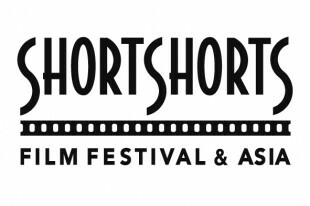 Ranked as one of the top 10 Festivals in the United States, RIIFF is a qualifying festival for the Narrative, Documentary and Animation Short Academy Awards through its affiliation with the Academy of Motion Picture Arts & Sciences and the British Academy of Film and Television Arts (BAFTA). 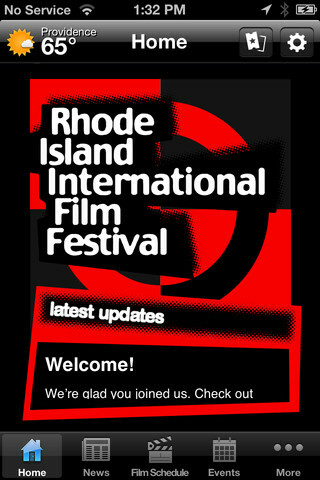 There are only 6 film festivals worldwide that share this distinction and RIIFF is the only festival in New England. The Festival takes place every August. For more information about the Flickers' Rhode Island International Film Festival, running Aug. 9-14, 2016 at the Providence Performing Arts Center (PPAC) and The Vets (formerly Veterans Memorial Auditorium), please visit call 401.861.4445. Guests should enter through the main entrance at the fountain. they will be able to obtain a guest parking pass. Lot 24a will be blocked off for guests of the festival. Proceed through the main entrance through to the lot 24a on left. This event will take place in the Mary Tefft White Cultural Center and the Global Heritage Hall. The 2016 Roving Eye International Film Festival is sponsored by The RI Film & the Television Office; Flickers' Rhode Island International Film Festival; Short Shorts Film Festival & Asia, Edge Media Network, the Edwin S. Soforenko Foundation; the Helene and Bertram Bernhardt Foundation; Roger Williams University Office of the Provost; the RWU Department of Communication and Graphic Design, Dean Robert Eisinger, RWU Feinstein College of Arts and Sciences; Dr. Roberta Adams, Associate Dean for Academic Affairs; the RWU Film Production Collaborative, the RWU Screenwriter’s Guild, RWU Hillel, and the Spiritual Life Office.